Nick B. Crasner focuses his practice on retained legal search, mergers and consulting. Mr. Crasner has assisted numerous US and UK law firms on transactions across Continental Europe, the Middle East and Asia and has executed assignments in all of the major international legal hubs outside of London and New York. In particular, he has worked on matters in jurisdictions spanning the GCC (UAE, Saudi Arabia, Bahrain, Kuwait, Qatar and Oman) and mainland Europe (Brussels, Paris, Frankfurt, Madrid, Milan, and Munich). He has extensive experience in the development and project management of large law firm office openings where he helps international clients enter and build up their presence in a given market. Mr. Crasner has been recognized for his work by a variety of directories. He has been described by clients as a “pragmatic advisor and headhunter to law firms with a skill for building outstanding teams in new markets”. Prior to founding Crasner Consulting, Mr. Crasner was a Partner at another legal search firm for five years. During this time, he was responsible for all high value, international projects and was responsible for launching and overseeing the firms Singapore and Dubai offices. Prior to this he was a Managing Director in the London office of the largest legal search firm in the world. Representing an AmLaw 100 law firm with their office launch in Dubai where we were responsible for recruitment across Corporate, Litigation, Investigations and Projects. Pursuant on this matter, the lateral teams in each area would fulfil a number of critical roles for the firm, including Dubai Office Managing Partner, Chair of the Emerging Markets practice and deepen the English capability across the firm. This gateway approach to international expansion greatly impacted the law firm’s ability to service work in North and East Africa, Central and South Asia and across the Middle East. Representing a London headquartered law firm on a major expansion project in the Middle East, which involved the acquisition of a regional law firm with offices in the Kingdom of Saudi Arabia, Lebanon and Kuwait City. The acquisition was centred on the significance of the Saudi market and gave the acquiring firm a foothold in the highly lucrative markets. The deal was structured through two Associations and involved the negotiation of fixed assets and the on boarding of legal and support staff in a number of offices. Advising a UK law firm on their office opening in Paris, which is widely acknowledged as the largest single lateral group move in Continental Europe. The team of nearly 40 people cut across Construction, Corporate, Employment, Real Estate and Tax and immediately launched a full service offering in the French Capital. 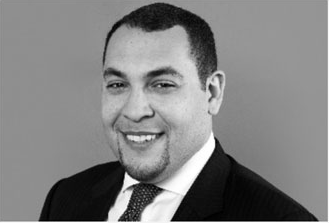 In addition to his work at Crasner Consulting, Mr Crasner is founder of Crasner Ventures, Crasner Private Equity, Crasner Capital and a co-founder in Kissoon Carr Partners. 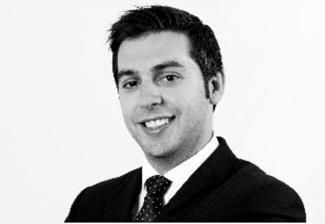 Robert Hanna is a Partner at Crasner Consulting where he focusses on retained legal search assignments. Mr. Hanna has assisted numerous US and UK law firms on retained legal search assignments. In particular, he has worked on matters in jurisdictions spanning the Asia (Singapore, Hong Kong, Beijing, Shanghai and Tokyo), the Middle East and Europe. Miriam Longchamp is a Partner at Crasner Consulting where she leads the Consulting practice. Ms Longchamp has assisted numerous US and UK law firms on transactions across Continental Europe, the Middle East and Asia and has executed assignments in all of the major international legal hubs outside of London and New York. 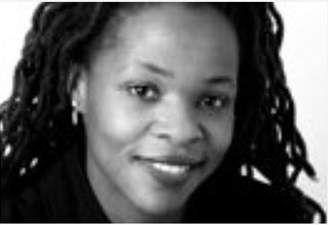 Prior to joining Crasner Consulting, Ms Longchamp was an Associate at Wachtell Lipton LLP in New York City. In particular, she has worked on matters in jurisdictions spanning the GCC (UAE, Saudi Arabia, Bahrain, Kuwait, Qatar and Oman) and mainland Europe (Brussels, Paris, Frankfurt, Madrid, Milan, and Munich). She has extensive experience in the development and project management of large law firm office openings where he helps international clients enter and build up their presence in a given market. Ms Longchamp holds her JD from Yale University and a BA from Princeton. Ms Longchamp has a thriving property portfolio and is an avid investor in real estate assets in London and New York. Katie Faulds is an experienced Executive Search professional with considerable international experience. Ms. Faulds, who is fluent in English, German and Spanish, is Principal Consultant at Crasner Consulting, focusing on retained Partner and Team searches, law firm mergers, practice launches/build outs and office openings. Ms. Faulds assists clients all over the world, with a concentration on assignments for US and UK law firms in Asia, the Middle East and Continental Europe. While Katie works on assignments all over the world, she leads Crasner Consulting’s practice in Germany, Spain and Latin America. Prior to joining Crasner Consulting, Katie worked with one of the world’s leading executive search firms, working on Chief Executive, Chief Technology and other C-Suite appointments for financial institutions including bulge bracket investment banks, hedge funds and asset managers. 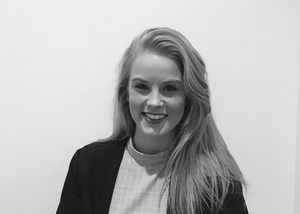 Ms. Faulds has been widely acknowledged for her outstanding execution skills, having trained with a global search firm whilst working on some of the most complex retained searches in the world. Ms. Faulds is Chair of Crasner Consulting’s Diversity Committee and Crasner Consulting Women’s Initiative, driving diversity both internally, as well as externally for clients. 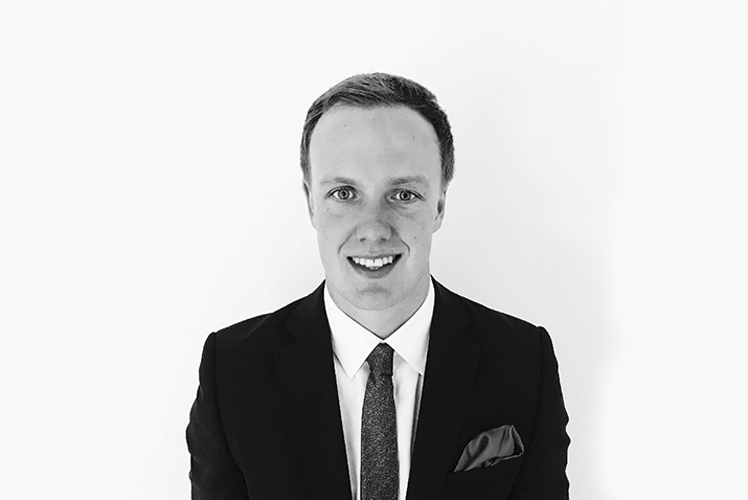 Jack Robertson is an Associate at Crasner Consulting. Mr Robertson works with the Partners and Principal Consultants of the firm and spends considerable time working on assignments with our Founding Partner. Mr. Robertson delivers some of the highest calibre research, project management and execution on assignments for US and UK law firms. He has particular expertise working in the London, Paris and Hong Kong markets and concentrates on Office Openings, Lateral Partner search, Practice Launches and Restructurings where he is involved in helping US and UK law firms rebuild their practices in Hong Kong, France or the UK. Mr. Robertson is a thought leader and has written extensively on the legal markets in France, Hong Kong and internationally. Prior to joining Crasner Consulting, Mr. Roberston was a Recruiter with a boutique search firm called JGB Partners based in London. During his Degree Program, Mr. Robertson was selected on a very prestigious summer program with State Street Global Advisors where he worked in the Risk function of the Investment Bank. Mr. Robertson graduated with a BA in Finance and Management at Loughborough University.